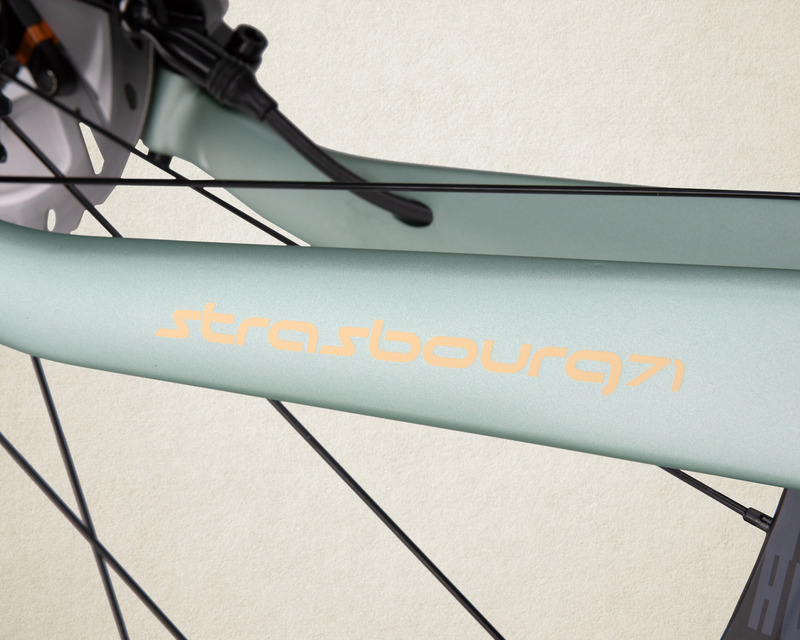 The Strasbourg71 frame consists of impact-resistant material below the downtube, as well as behind the seat tube, where you can have a lot of stone impact during a gravel ride. On top of that we offer an integrated chain catcher to protect your pedal stroke on rough terrain. The wide clearance of the front and rear fork allows 40mm tires. 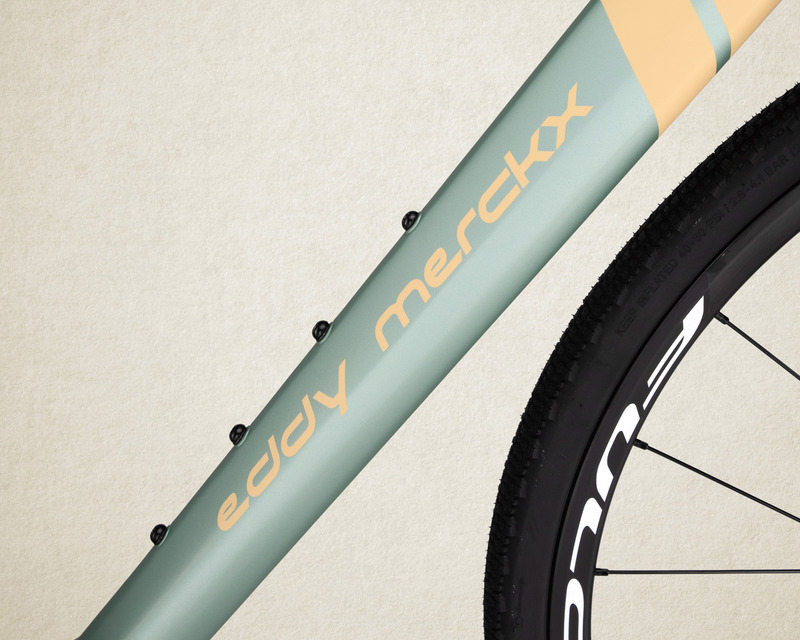 This bike can be equipped with mudguards and travel bags for real adventure. To perfectly accommodate those travel bags your bottle cage can be put in different positions. 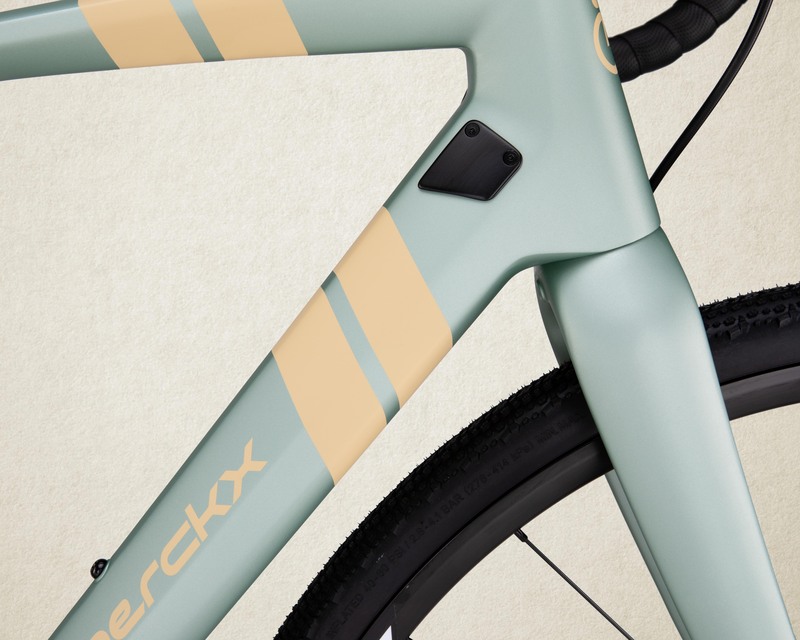 Thanks to the road geometry transforming your bike for a spin on the pavement can be done easily. Just change your tires and hop on your bike.